You are visitor no 52972 on this page since April 1 2011. | This page can be translated using the option in the left column. The internationally acclaimed multimedia artist Peter Wendelboe available to you with all of his creative abilities. Peter Wendelboe, Aalborg. He was born 1942 years and has exhibited as a painter, sculptor and graphic artist since 1965, including Charlotte's Spring Exhibition, Artists Fall Exhibition and Artists Easter Exhibition. He has sold to the National Arts Foundation and was an examiner at Charlottenborg. In the mid-1970s he began as one of the first in world to work with computer graphics. It was the time with very small ones. When the Internet was made free in 1990, he was during the first Gulf war committed by the U.S. broadcaster CNN in Atlanta, Georgia, USA to participate in work to develop world history first-ever web-based news coverage: CNN Newsroom. Since then, he has resolved Internet-based tasks for businesses, associations and private sector worldwide. Back then it was only possible to create "screen shots" using green or yellow letters on a brown or gray screen. Colors, images, audio and video was not possible. When the Internet was enlarged in 1995 with the graphical user interface, he created the first interactive vedens administration module, DIMS (Danish Internet Media Service) so that users without knowledge of HTML or programming languages could upload text, images, video and audio. It was once called CMS (Content Management System) is not invented. But it has now become the common name of a user-friendly web administration system. In 1996 the system was named StartSmart - later SmartCMS - and installed on servers in California. The next 16 years developed Peter Wendelboe system with more than 100 user-friendly administration modules so SmartCMS 2010 now is the most advanced web maintenance system and covers every conceivable Internet based task, ranging from ordinary. websites of discussion forums and chat rooms for auctions, ecommerce and financial systems. Please send me instructions for FREE downloads now! Remember to fill in your choice! And what is a .TK domaine? 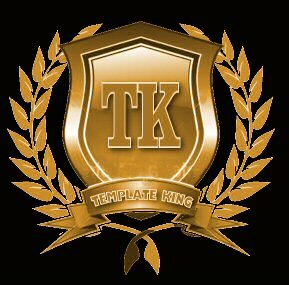 The name Template King and the logo to the right is a trademark for Peter Wendelboe's world famous Web Site Design. He chose a name with initials TK, because the proceeds of the Dot TK Registry goes partly towards development projects on the Islands of Tokelau. Read more at the bottom of the column on the right. Besides being an annual recurring joke the first April is the page an offer for you to enjoy the internationally acclaimed multimedia artist Peter Wendelboe's creative abilities. The free offers you see on this page apply ONLY in the month of April - and only in limited circumstances. About the offers are that those who come first, get the best deals. Therefore: Apply today for a FREE password for the many April deals. You can already get the best design for your website today. Contact multimedia artist Peter Wendelboe and learn more. It is part of a series of weird pages, published April 1 each year with different topics. What is a .TK domaine? Dot TK is a joint venture of the Government of Tokelau, a country in the South Pacific, the countries communication company Teletok and BV Dot TK, a privately held company. The Government of Tokelau has appointed BV Dot TK as the exclusive registration entity. BV Dot TK is doing business as the Dot TK Registry. The Dot TK Registry is privately funded and has offices in Amsterdam (Netherlands), London (United Kingdom) and Douglas (Isle of Man). With its management team, an experienced staff, multi-redundant backbones in all the countries and DNS root-servers located in every corner of the world, Dot TK can handle millions of registrations.